If your child is between the ages of 6-10 (entering grades 2-5) and loves to sing (whether in your School Chorus or just at home), then our Elementary MUSICAL THEATER Program is right for you! 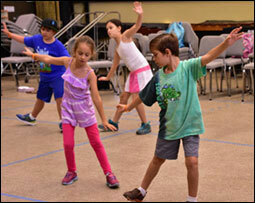 Musical Theater: singers will learn songs from a Broadway show. They will also be coached on proper vocal technique and choreography. Unique to the Frost Young Musicians' Camp - the goal of Stomp is to improve rhythm - important for every kind of musician. Campers also work on concentration and the ability to follow a conductor. 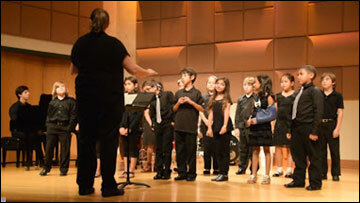 Our expert teachers help you get better at singing!